Size: approx. 8 mm. Photo: 04/28/12, 7 pm. 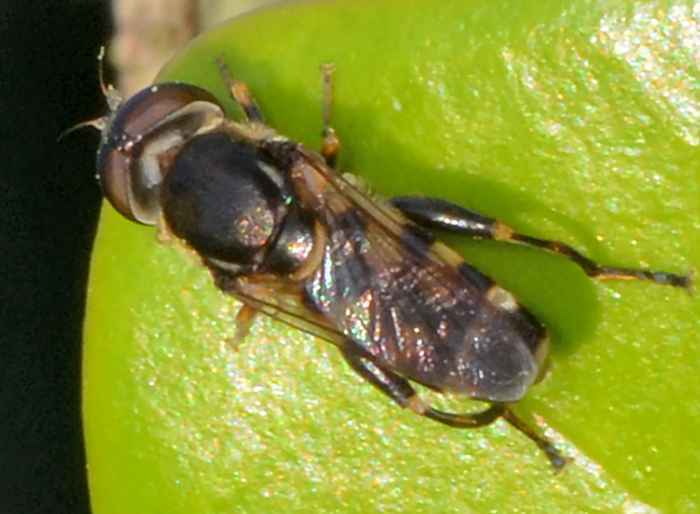 Syritta pipiens is a common syrphid fly and can be found in wide parts of the US especially in fields and grasslands with flowers. It is one of two North American species but the other one S. flaviventris occurs only in Texas and Mexico.